This program is for youth and middle school wrestlers of all skill levels. Our Level 1 (1st & 2nd year) wrestlers will practice from 5:30-6:30. Our Level 2 (competition) wrestlers will practice from 6:30-8:00. Since this season runs during the same time as the high school wrestling season, we will only hold high school wrestling practices on Sundays from 12-2. Practices will be held three days a week per group. What to expect: Practices will be 60-90 minutes. They will start with an active warm-up, move into stretching and calistenthics and then start wrestling drills. Kids can expect to work with a partner close to their size, though some drills will be individual. Our focus is on developing proper technique and building bodyweight strength and conditioning. 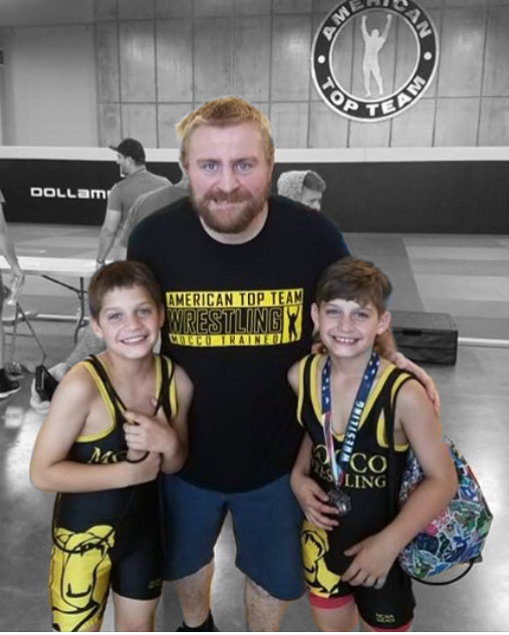 What to wear– ATT/Mocco wrestling shirt, shorts/tights/sweat pants, wrestling shoes, headgear.